On the 28th of October 2018, IBM revealed its intent to acquire open source software leader Red Hat in what is now the biggest software acquisition in history. While perhaps not a total surprise considering IBM's historical advocacy for open source and particularly Linux, the (USD) $34 billion buyout certainly drew mixed reactions from pundits, with some predicting disastrous outcomes and others believing the acquisition to be Big Blue's saving grace after a mediocre period of revenue in Q3. Although while it remains to be seen how the acquisition will play out for IBM, major enterprise organisations don't just spill out half their annual revenue every day. So, why make the purchase? It's widely thought that the acquisition is be all about bolstering IBM's cloud and Hybrid IT play, with things like OpenShift and even Red Hat Enterprise Linux (RHEL) serving as major components to contemporary cloud puzzles. However, it's as much an investment in cloud as it is in open source. After all, it goes without saying that Red Hat is one of the most successful and active open source organisations in history, and it's passionately geared towards supporting communities of open source developers. As well as this, Red Hat also has its own great team of open source-savvy developers that IBM will be extremely keen to join forces with on a variety of projects, including crafting Kubernetes to be a more capable platform for hybrid cloud deployments. Taking this all into account, it's clear that IBM believe firmly in open source software and this will play a big part of their movements going forward. 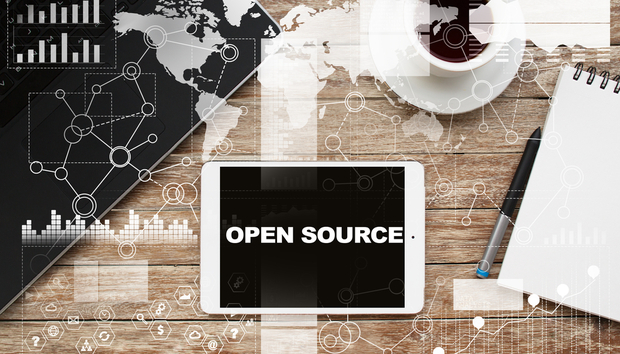 Where does this position open source now? If you combine IBM's acquisition with Microsoft's buyout of GitHub last year, at the very least you could say that the open source game is changing. These events communicate an increasing interest from the enterprise space in open source technologies as bankable prospects, with big tech companies willing to drop serious cash to boost their name in the field and amongst communities. Also, it is for this reason - amongst others - that it has a decent amount of potential as a driver of the digital economy going forward.